All Colgate toothpaste products are fantastic! I used the Character ones as a kid and loved it and now use this product as an adult and still love it. Makes my teeth feel extra clean after every use and keeps my breath smelling minty! Smells AMAZING!!! I use this product everyday at 4:30am and throughout my 12 hour work day if I lift my arm, I can still smell a fresh clean scent. It is definitely long lasting, and lasts until the very last bit of product. Unlike other products that the deodorant falls out when you are near the end and makes it impossible to utilize the full product you paid for. All Secret products are fantastic, I mix up the scents almost every time I buy a new deodorant and I have never been disappointed yet! I have 2 yellow labs and they LOVE these bones! They get a “treat” while mom gets healthy dog teeth! It is a win-win! My dogs have very white teeth, and I am not sure if it is from this product exactly, but it is the only dental product we have used thus far. I only used this once or twice...only due to the fact that i’m Normally in a rush when getting ready in the morning. Therefore, I don’t have the time or patience to wait for the liquid eyeliner to dry...the couple times I did try it, it did go on nicely tho! I have taken it to festivals, Work, camping...well basically everywhere! Also don't forget to buy the top with a straw for your cold drinks! 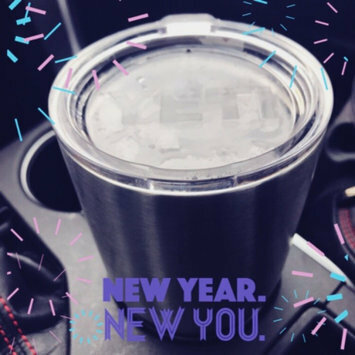 The only down fall is if you have the plain metal one (such as I do), the outside gets very very hot if you leave it in the sun for too long!...so I would recommend a koozie for it or getting a coated one!